This is a foreign exchange guide to Ireland, the Euro currency plus EUR transfers and travel tips. Ireland is a beautiful country filled with rolling green hills, castles, beautiful cliffs, Guinness beer, and super-friendly locals. 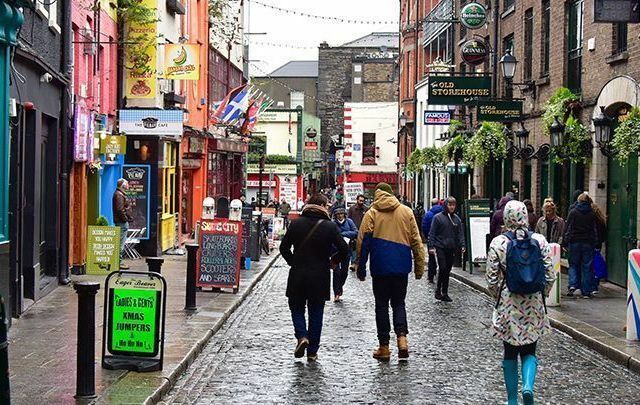 Dublin is a lively city with great pubs and history while the country is filled with beautiful landscapes and castles, so it’s hard not to have a good time here. The country is small so it's easy to explore the whole thing, it is vibrant and fun. 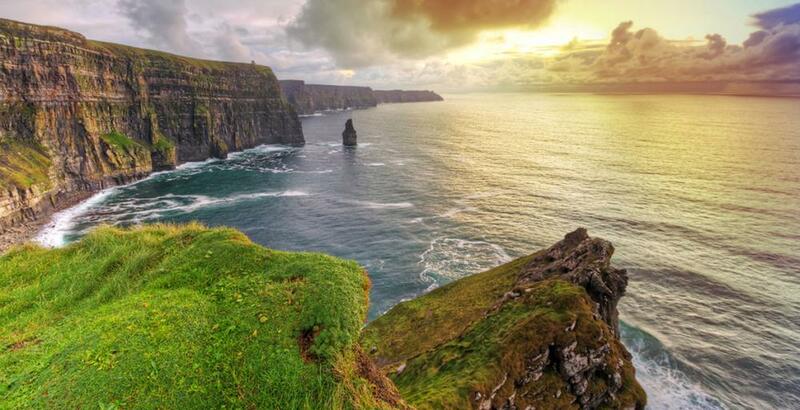 History is everywhere, from the breathtaking monuments of prehistoric Ireland at Brú na Bóinne, Slea Head in Kerry and Carrowmore in Sligo, to the fabulous ruins of Ireland's rich monastic past at Glendalough, Clonmacnoise and Cashel. The Euro has been the currency in circulation in Ireland since the beginning of 2002. It replaced The Irish pound ("punt Éireannach" in Irish). There are two currencies in use on the island of Ireland, so come prepared. You should be aware that as part of the UK, Northern Ireland uses pound sterling, not the euro. Since international bank cards will work perfectly in ATMs and chip and pin terminals on both sides it won’t make a huge difference, but it’s worth knowing if you’re planning to shop. In the 6 counties of Northern Ireland (Fermanagh, Armagh, Tyrone, Derry, Antrim and Down), sterling (GBP) is the currency used. How to travel in Ireland? Ireland is extremely well-served by budget airlines traveling throughout the UK and Europe. By booking in advance with the likes of Ryanair, Easyjet, and BMIBaby, you can get cheap flights from Ireland to elsewhere in the world. Ireland's size makes domestic flying unnecessary, but there are flights between Dublin and Belfast, Cork, Derry, Donegal, Galway, Kerry, Shannon and Sligo aimed at passengers connecting from international flights. Flights linking the mainland to the Aran Islands are popular. For cheap bus travel take the Green bus like most locals, they service most of Ireland. Eat at the pubs for good, hearty local Irish food that won't destroy your wallet. If you like visiting heritage sites grab a OPW Heritage card. It gives access to main attractions, including most of the castles throughout the country. The card costs 25 EUR for adults. Bus is convenient but renting a car in Ireland can be fantastic to get around on your own schedule. The traffic is not hectic and the roads are good. The bus is fine, but if you have the ability be sure to rent a car to see the countryside and meet the people on your own timetable. Ireland's compact size and scenic landscapes make it a good cycling destination. However, unreliable weather, many very narrow roads and some very fast drivers are major concerns. Special tracks such as the 42km Great Western Greenway in County Mayo are a delight. A good tip for cyclists in the west is that the prevailing winds make it easier to cycle from south to north. Ireland's offshore islands are all served by boat. Ferries also operate across rivers, inlets and loughs, providing useful short cuts, particularly for cyclists. If you stay at a B&B (Bed and Breakfast) eat the big breakfast that is served.. It will last you well beyond midday. Lunch is then often later without much need for a big dinner. Again saving you some dollars. Buses won't stop unless you put your hand out. If you are taking the bus this is vitally important. But be warned, some days even putting your hand out and waving it around won't be enough to make them stop. So don't be surprised if you see people at the bus stop jumping up and down in desperation when the bus is in view. While most of the major Irish sights can be taken in using public transport or tour buses, renting a car is worth considering, to get to those spectacular places off the beaten track. When searching around for information on how to get a good exchange rate when sending money to Ireland you need to start with finding out the latest Euro foreign-transfer exchange rate. Once your funds are received by the provider the converted EUR amount will be transfered to the recipient account you specify in Ireland.